Jake is a young and vivacious member of the CMB team. Working at CMB is his first job in the insolvency industry having made a dramatic change in the direction of his career away from his first vocational path in medicine. 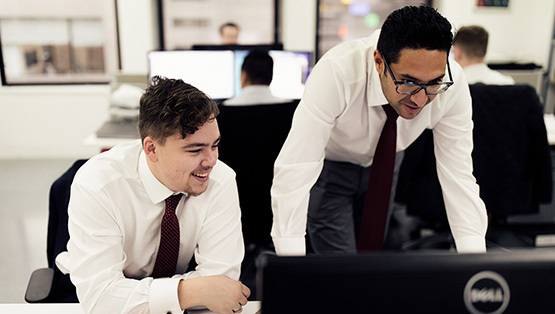 Since making the decision, Jake has had no regrets and he is enjoying the work and relishing the opportunity to learn as much as he can about the insolvency world. He specifically sought to work in a dynamic and growing firm where he could embrace the challenge of learning about an entirely new industry and, in particular, gain experience from working on a wide range of cases, an opportunity that is readily afforded to him through a boutique firm like CMB. Jake is currently studying towards his ACCA Accountancy exams which will ensure that he has a firm understanding of business and finance in preparation for subsequently tackling the challenges of the insolvency exams. At CMB he will be able to take what he is studying and apply it in a practical environment, thereby constantly improving his skills and knowledge. Jake is a passionate footballer, having played throughout school and university. This has taught him about the values and dynamics of working within a team. However, being a Blackburn supporter brings him back to earth and ensures he has a realistic, rather than overly optimistic, vision for the future.